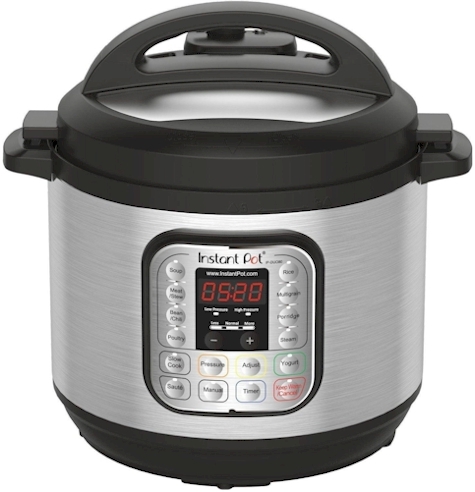 One of today's (4/25/18) Amazon Gold Box Deals is on the Instant Pot 3-quart Duo, down to $55.99 with free Prine shipping. It got 4.6 out of 5 stars over 27,926 customer reviews. If you're new to Instant Pot cooking, Amazon has got The Essential Instant Pot Cookbook in hardcover for $11.97 with free Prime shipping, (which is a really good price on this popular cookbook). It got 4.1 out of 5 stars over 318 customer reviews.